The Encounters gather around fourty students and young graduates from Art Schools located in the Czech Republic, France, Germany, Israel and the United kingdom. For six days, they will participate in an ambitious laboratory, together with various artists and researchers. This week of research, experiment and cross-pollination is on the intersection between artistic apprenticeship and the advent of the young creation singular approaches. The Encounters foster exchanges and mutual curiosity across disciplinary divisions. Organised by the TJP National Drama Centre Strasbourg - Grand Est, their field of exploration is that of its global project: contemporary artistic practices that explore the relationship between bodies, objects and images and thus offer a vast field of investigation for these young artists from multiple horizons (visual arts, circus arts, dance/performance, puppetry, theatre, audio art, scenography, ...). 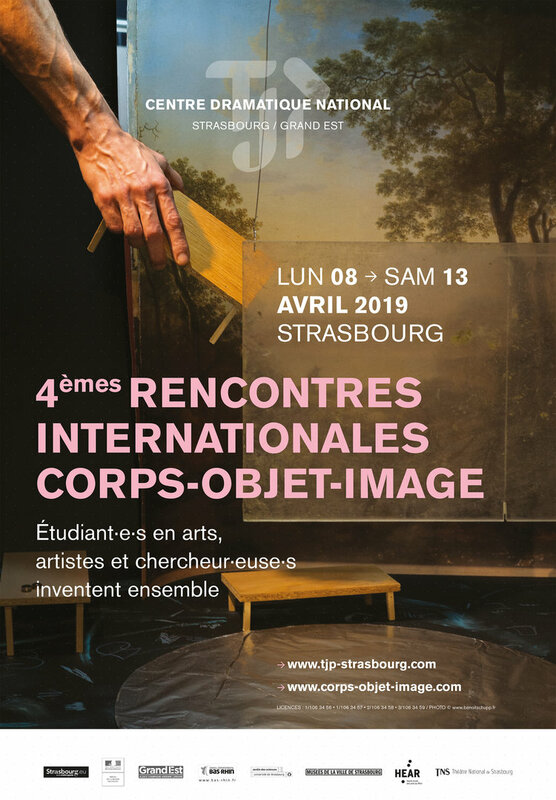 The Fourth Corps-Objet-Image International Encounters will gather several generations of artists in an experimental apparatus. This coming edition is taking an important step forward by developing the Art-Science-Politics relationship through a partnership between the CDN, the Jardin des Sciences, and the Master d’Expérimentation en Arts Politiques de Sciences Po Paris.